Few mental exercises are more arrogant, and few have a higher risk of being just plain wrong, than hasty historical judgments about on-going military operations. At the same time, critics often accuse military leaders of fighting the last war, having missed the signs of impending change that will make the future unlike the past. Alongside this (usually exaggerated) criticism is one that accuses hidebound military leaders of planning to fight the next war in a way that they wish it to occur, not as it turns out to be. This chapter of On Point II, indeed the entire study, is an attempt to render those criticisms mute. Military conflicts are rarely, if ever, conducted like their predecessor, nor like the futurists predict they will be conducted. In 1973 the dean of living military historians, Michael Howard, famously stated that it may not matter what doctrine military leaders are working on for they are rarely correct about the future. He continues, “I am tempted to declare that it does not matter that they have got it wrong. What does matter is their capacity to get it right quickly once the moment arrives.”7 It is this mental flexibility, rooted in history but aware of constant change and prepared to quickly adapt to new conditions that must be cultivated in the Army. 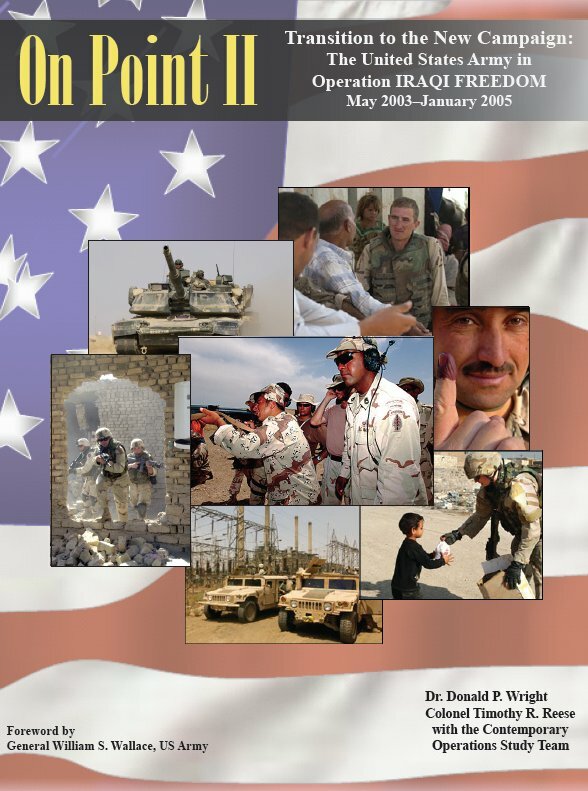 The US Army has a remarkable history of getting it right over time, and it is in that spirit that On Point II has been written.